The Department of Defense announced today the deaths of two service members who were supporting Operation Enduring Freedom. They died Aug. 17 while supporting combat operations in Farah province, Afghanistan. 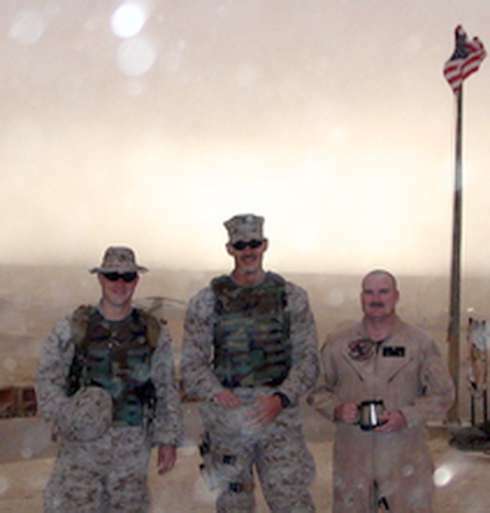 They were assigned to 3rd Marine Special Operations Battalion, Camp Lejeune, N.C.
Hospital Corpsman Petty Officer 1st Class Darrel L. Enos, 36, of Colorado Springs, Colo.
All of us from HMM 264 do appreciate the things that everyone has sent from the coffee to the candy, it's all been wonderful. We are all grateful for those folks who go out of there way to send us a piece of home. Thank you. 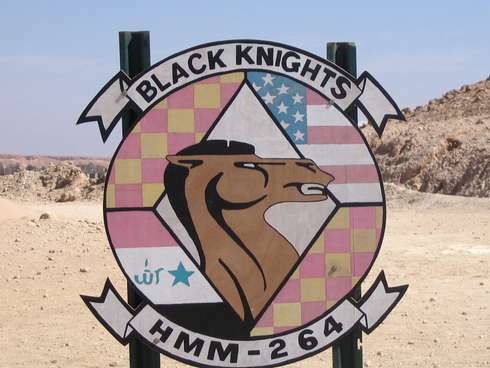 HMM-264 Black Knights Hale from Jacksonville, NC. This is a Marine helicopter squadron. I am their corpsman(medic). The marines and I would like any type of snack items, magazines, coffee, and toiletries. The female marines would like good smelling lotions and air fresheners also. We do have power(220 Volt) most of the time, and have 1 microwave we share. Anything you can do to help us will be greatly appreciated.